Choose the options that best suit your playstyle by reviewing all of the game's opening choices. Before you get started in Kingdom Hearts 3, the game’s opening lets you pick from a variety of different choices that relate to your playstyle. Depending on how you wish to approach the game, you’ll want to select the choices that appeal to you the most. Of course, you also don’t want to rush through these choices. To help you make the best decisions possible, we’ve put together a quick guide featuring all opening choices in Kingdom Hearts 3! At the start of Kingdom Hearts 3, you'll be able to choose different options in relation to your playstyle. During the opening of Kingdom Hearts 3, players are presented with a few different options that relate to playstyle. For example, there are three difficulty settings in Kingdom Hearts 3 that include easy, normal, and hard. 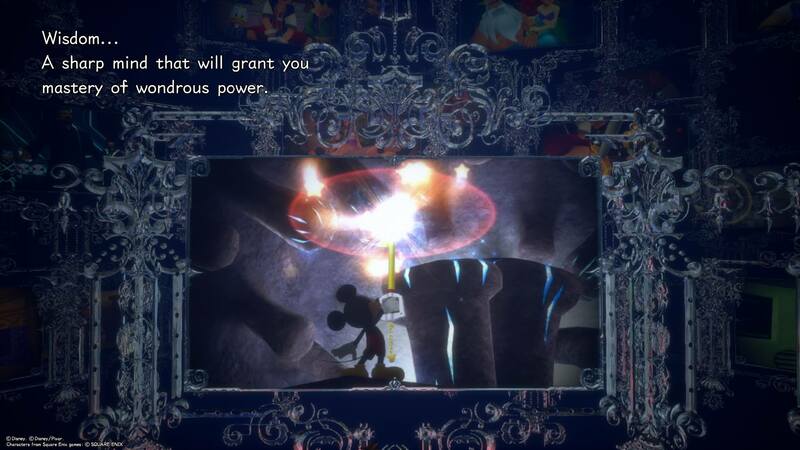 The easier the difficulty setting, the more Lucky Emblems you’ll need to find in order to unlock the secret movie for Kingdom Hearts 3. Meanwhile, the game presents you with character build choices that slightly tweak your playstyle. While these choices won’t make or break your Kingdom Hearts 3 experience, you’ll nevertheless want to consider which options work best for you. The first three options presented to Sora include Wisdom, Vitality, and Balance. The first three options to choose from in Kingdom Hearts 3 are Wisdom, Vitality, and Balance. Wisdom: A sharp mind that will grant you mastery of wondrous power. Vitality: A rugged body that will endure even the toughest of challenges. Balance: A body and mind of equal merit and equal potential. To break these choices down, you can either choose to prioritize Sora's health or MP. If you don't wish to pick one over the other, you can opt for Balance. Below, we've included the specs of each choice in relation to health and MP. Wisdom: 90 HP, 120 MP. Vitality: 120 HP, 100 MP. Balance: 105 HP, 110 MP. 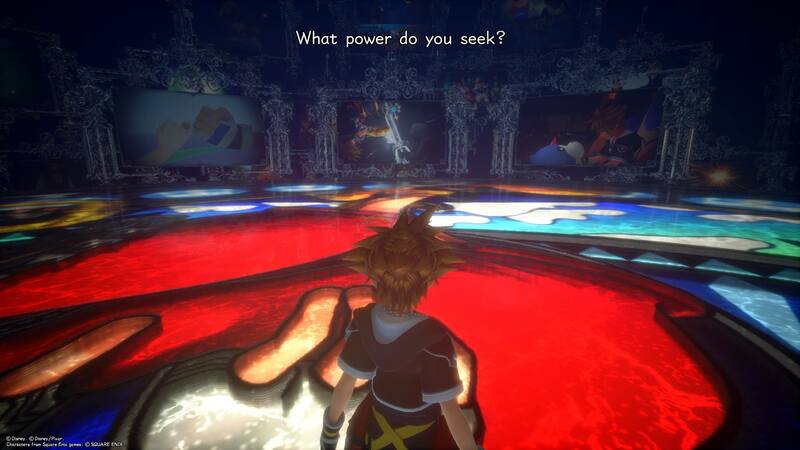 The last three options to choose from in Kingdom Hearts 3 are the Mystic, the Guardian, and the Warrior. The Guardian: Kindness to aid friends. It's a little harder to decipher what these three choices mean at first, though after playing the game, we found they relate to the types of abilities Sora learns. For example, the Guardian is a great choice to players who frequently use blocks in battle. Meanwhile, the Mystic relates to magic abilities and pairs well with the Wisdom option if you intend to create a "mage" style build. 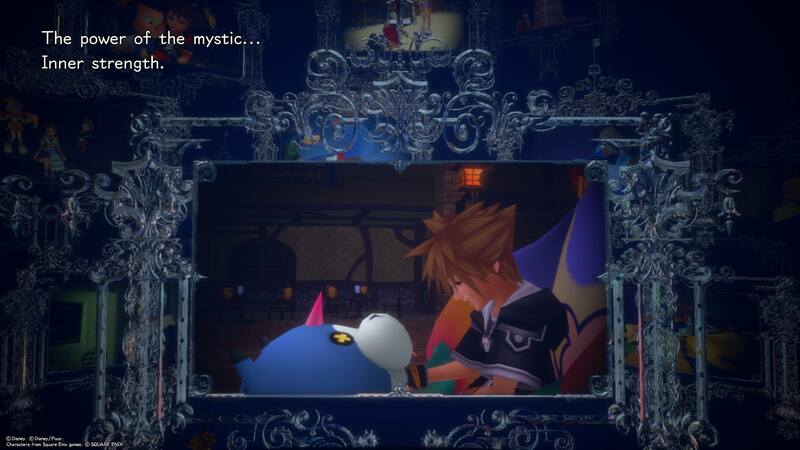 The Mystic: Sora will learn magic buff abilities earlier on in the game. The Guardian: Sora learns defensive abilities earlier on in the game. The Warrior: Sora will learn abilities with hit combos earlier on in the game. Confirm your choices to officially begin your Kingdom Hearts 3 journey! 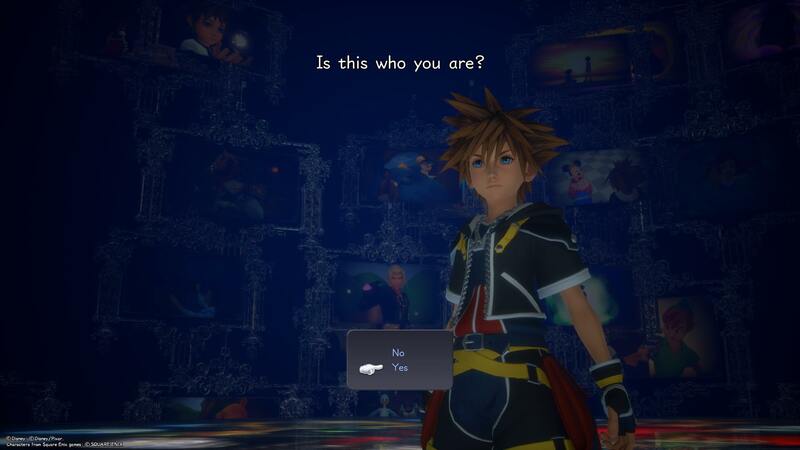 After selecting from one of the three options listed above, you’ll be able to confirm whether or not this is “who you are” before officially starting your Kingdom Hearts 3 journey. As of right now, it doesn’t appear as though you can change the options you select at the beginning of the game, meaning you’ll want to think carefully before making a selection. Personally, we ended up choosing Wisdom and the Mystic as they best suited our playstyle. After reviewing the options at the start of the game, which did you choose? Let us know down in the comments below!